Container glass manufacturers are always on the lookout for ways to optimize their production, especially with regards to breakages. 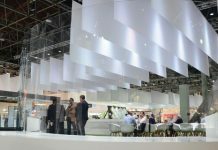 This article takes a look at the recent development from Vidrala and Masitek, which provides glassmakers with more in-depth knowledge of their lines. 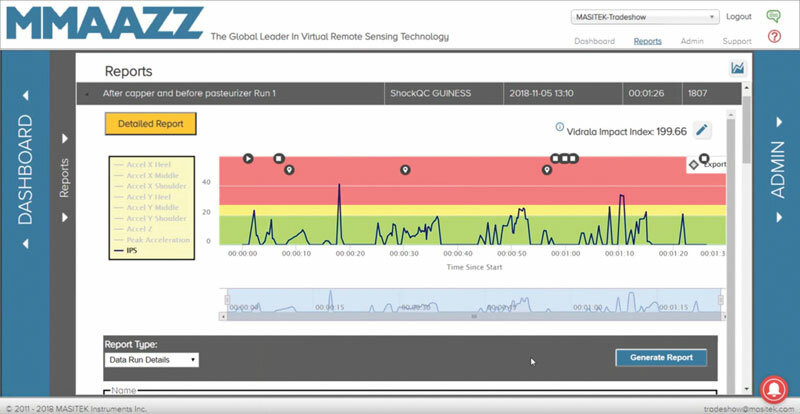 MMAAZZ, a division of Masitek Instruments, and Vidrala S.A. have developed the Vidrala Impact Index (VII) and corresponding measurement capability using smart in-line sensing technology. 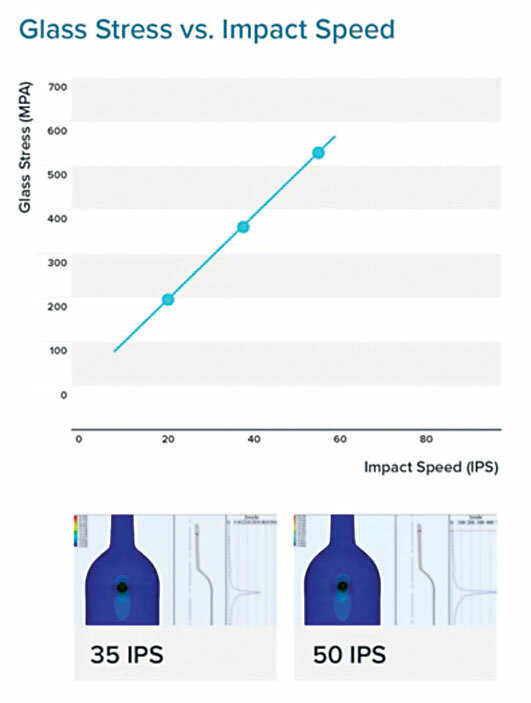 The newly developed impact index, which can be measured using MMAAZZ ShockQC™ sensor technology, allows glass packaging operations to further optimize lines against breakage and damage from impact during processing. In effect, the new data will quantify what the impacts experienced by containers on a line really mean. This index can be calculated to both individual or multiple impacts. For multiple impacts, the individual impact indexes are added up to obtain the overall index. A sustainable material with superior preservative characteristics and premium brand connotations, glass is a reliable container choice but dictates a precise production process. Trends such as luxury finishes, complex bottle designs and light-weighting can affect production efficiency when using glass containers. And while many factors can affect the efficiency of a filling line, breakage and downtime are two of the issues that can be located, measured, and corrected. Already a popular container choice for alcoholic drink sectors including wine, beer and spirits; there is an increasing demand for glass containers across food and beverage sectors, as well as pharmaceutical production. 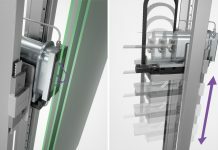 Smart in-line sensors can help solve the unique challenges of production using glass including scuffing, breakage and other aesthetic damage. As a preventative maintenance tool, the sensors can prevent line performance degradation. Smart sensors are also an invaluable source of data for research and development projects. Exact replicas of containers are deployed on the production line to accurately measure container experience during processing. Exact replicas of containers are enabled with smart sensors. Wireless, location tracking Bluetooth beacons pinpoint the origin of damage and opportunities to improve line efficiency. Each run is configured on the solution tablet and corresponding app, with integrated photo capture to document notable events. LIV™, Line Intelligence Visualization analyzes and visualizes trends by line, site, brand and country. Even with exhaustive testing through the production process and cold end inspection, containers that do not perform on the filling line are subject to rejection. Beyond inclusions and faults, glass manufacturers must understand all variables causing glass container breakage. Exhaustive laser, mechanical and manual checks during glass manufacturing ensure that glass containers will pass stringent health and safety standards by eliminating faults including checks, stone inclusions, bubbles, blisters and thin glass. Performance at filling operations however, can put strains on the glass that surpass the container’s IPS rating. 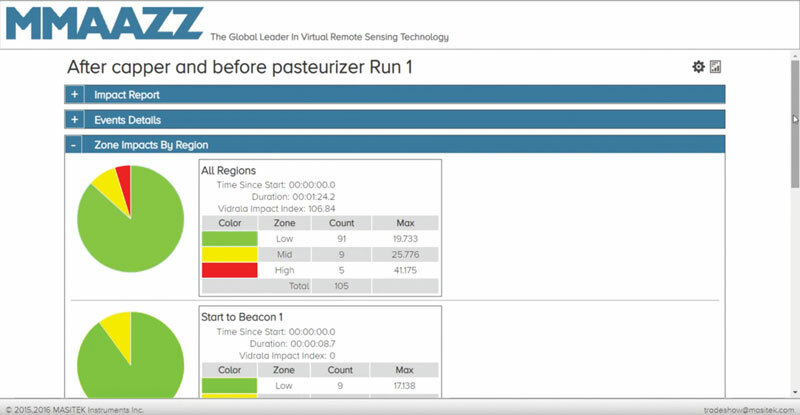 Smart in-line sensors detect high-impact areas and provide a real-time reading of IPS for rapid adjustments. Engineering a lightweight or innovative container design demands extensive testing, not only to prevent over- or under-engineering, but also to ensure consistent performance during filling and shipping. Glass manufacturers, along with category leaders in beverage, personal care and food, deploy smart in-line sensors in their packaging design process to understand how pressure, impact and vertical load issues affect various container types and materials. Vidrala manufactures glass containers for a wide variety of products in the food and beverage industry. 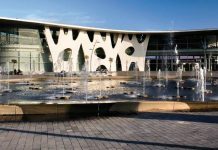 It is one of the main glass container manufacturer in Western Europe, leaders in the Iberian market, co-leaders in the British market and supplier of reference in Italy, France and Benelux, through nine complementary sites located in six different countries. Vidrala is a public listed company, with a market capitalization of over EUR 2.0 billion, selling more than 7.9 billion bottles and jars per year, among more than 1,600 customers. Headquartered in New Brunswick, Canada, MMAAZZ is a division of Masitek Instruments Inc. MMAAZZ offers state-of-the-art, real-time wireless detection and reporting technologies designed to immediately identify and quantify damage to fragile goods in production, packaging and distribution systems for handlers and manufacturers around the world in the food, beverage and pharmaceutical industries. Masitek’s innovative sensor technology helps reduce downtime, enhance product integrity and increase global scalability, productivity and profits. 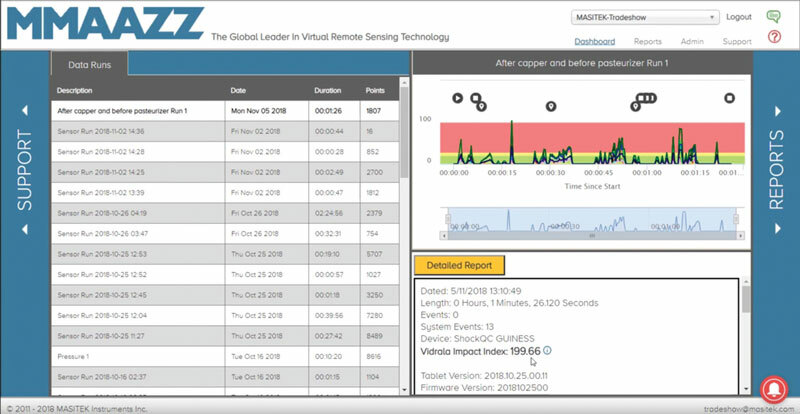 MMAAZZ has grown to become the global leader in virtual remote sensing technology with installations in Fortune 1000 companies around the world.